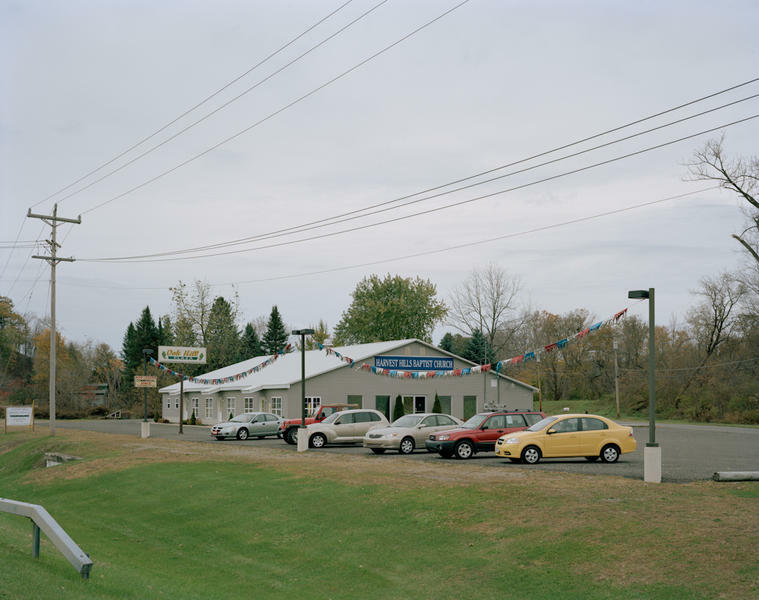 This work concerning culturally instilled beliefs as reflected in the built environment grew out of a 3-year project which examined New York State Route 28. Educated as a musician, Gilbert Plantinga turned his attention to photography in 1999. 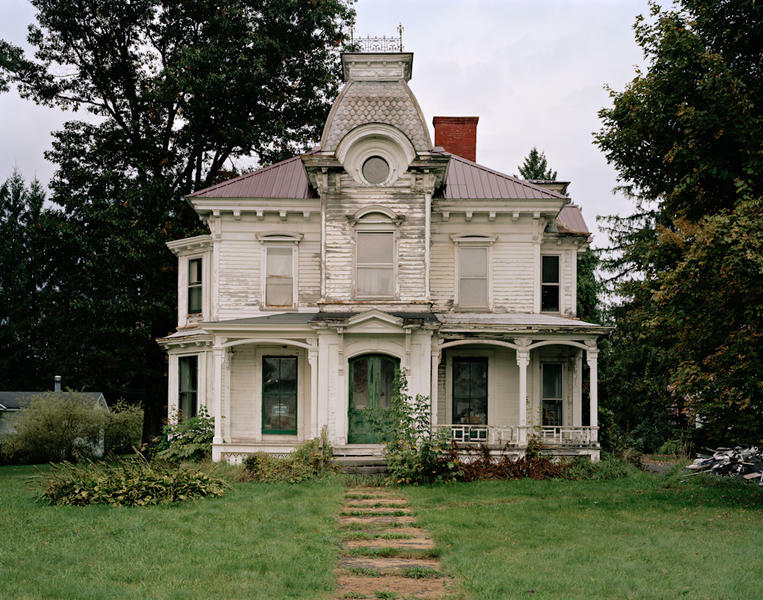 While his early black-and-white photographs were predominately individual portraits and street scenes of New York City, Plantinga’s focus gradually shifted away from the human element to its traces in landscape and architecture. 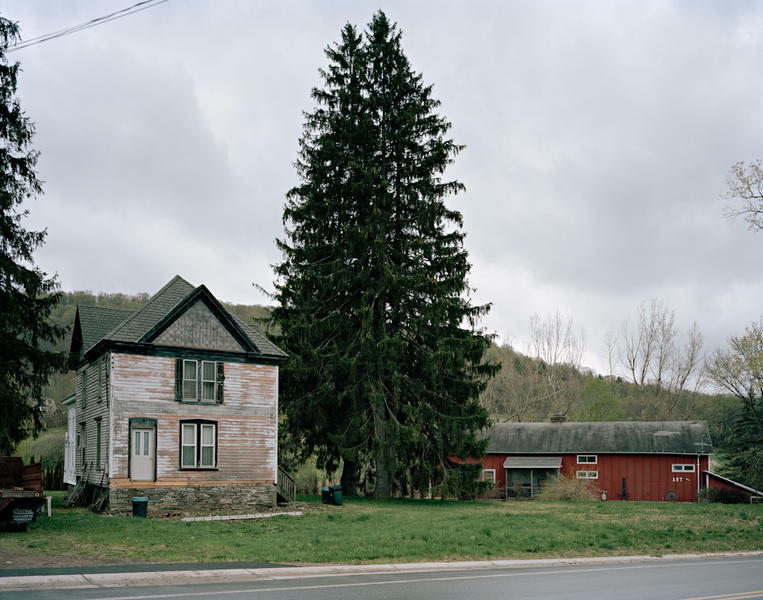 In a three-year project that Plantinga began in 2007, the lonely facades of decaying farmhouses and repurposed churches along New York’s Route 28 became the subjects of large-format color photographs. 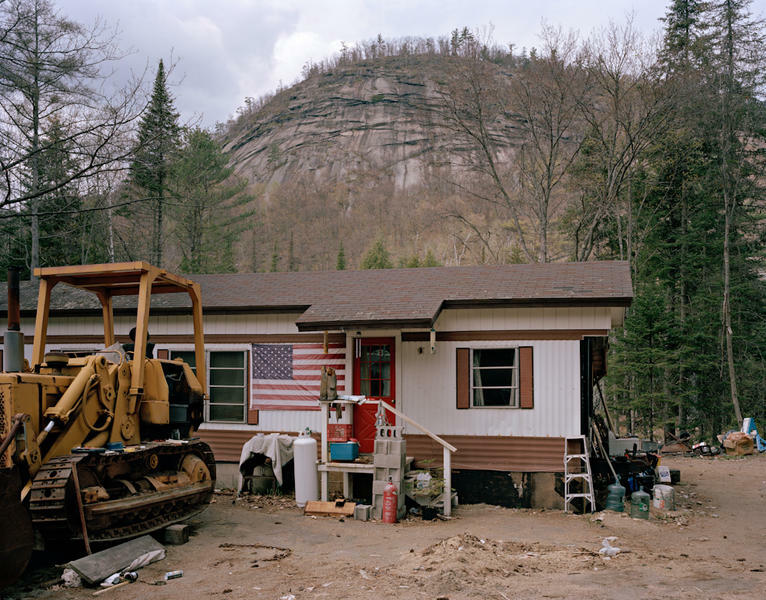 In this series, the viewer is confronted by starkly framed landscapes, which, although devoid of figures, speak to the sociology, economy, and politics of the communities that have built, inhabited, and at times abandoned these environments. 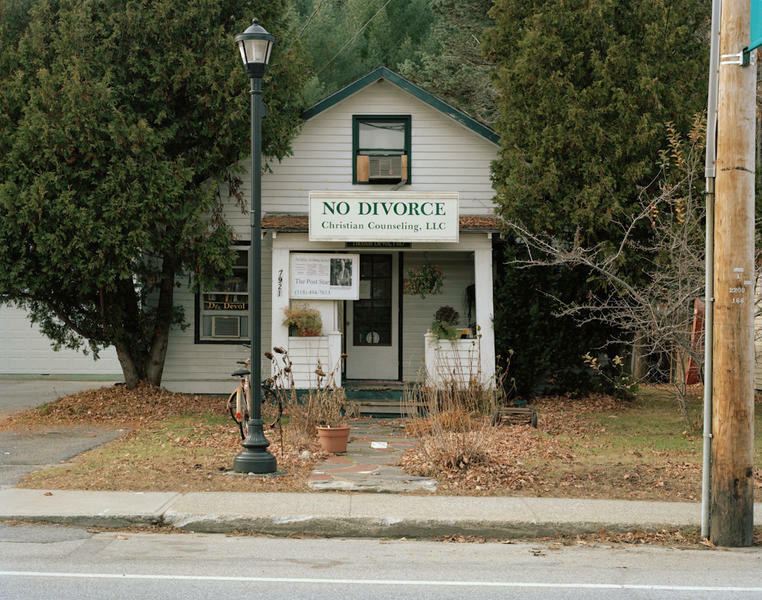 Recently he has returned to the street, making portraits of the young people who hang out on the Main Street of his hometown, New Paltz, NY, again working in large format color, and retaining the sociological interest, though in stark contrast to his earlier black and white street photography. Most recently, he has been developing interactive multimedia installations based on his still images and sound art. In 2003 he was the recipient of the Photographer’s Fellowship at the Center for Photography at Woodstock. 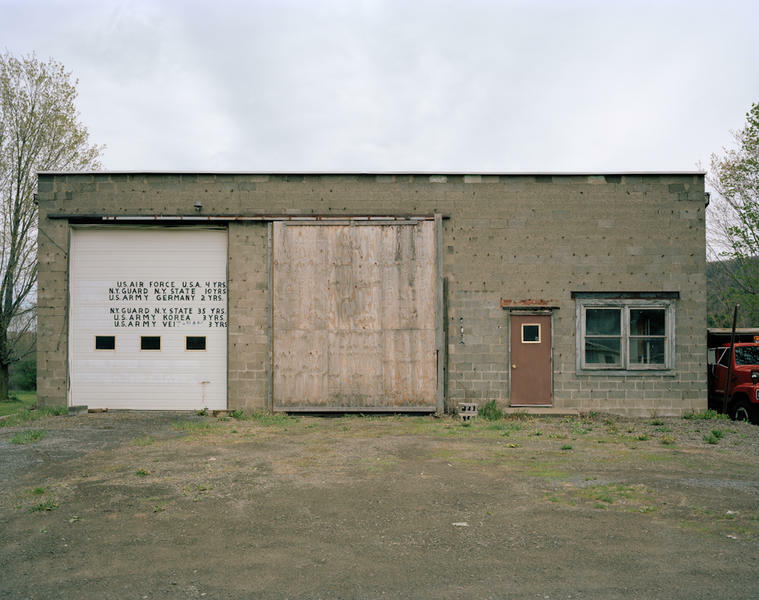 Plantinga’s photographs have been exhibited at venues including Cuneen-Hacket Arts Center, Poughkeepsie, NY, Daniel Cooney Fine Art, New York, Van Brunt Gallery, Beacon, NY, Cabane Studios, Phoenicia, NY, Barrett Arts Center, Poughkeepsie, NY, and the Dorsky Museum at SUNY New Paltz, and his works are included in the permanent collections of the the Dorsky Museum, the Center for Photography at Woodstock, and Bryn Mawr College.